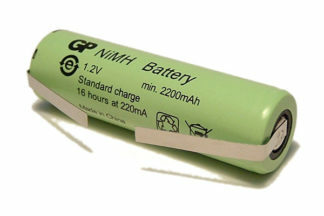 This is a new replacement battery to fit certain Braun Oral-B, Philips Sonicare and other manufacturers’ toothbrushes that were originally fitted with Ni-Cd batteries. 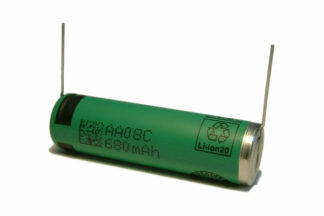 This battery is 49mm long and 14mm diameter. Other lengths and diameters are available in our online shop. It is fitted with solder tags ready for you to solder it into your toothbrush and give it a new lease of life. 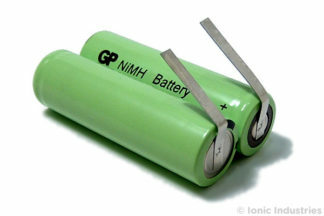 It is recommended that you open your toothbrush first to double-check the measurements of your original battery. 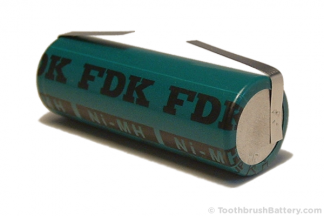 See our battery replacement guides section for instructions on replacing your toothbrush battery. 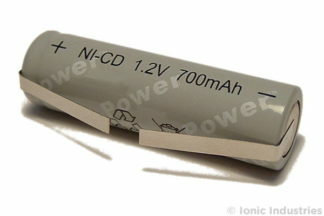 This battery is the correct replacement for the older Braun Oral-B Vitality (Type 3709) electric toothbrushes and some older Advance models that were originally fitted with Ni-Cd batteries. 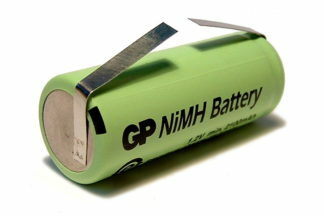 Not suitable for replacing Ni-MH or Li-ion batteries. The fitted solder tags will need trimming to fit your toothbrush.